Today I received an invitation to attend a conference hosted by the Institute of Welsh Affairs on Wales’ obesity epidemic. In association with Academy Health Wales, Cardiff Metropolitan University and the National Heart Forum, this very important subject delivers some alarming statistics. 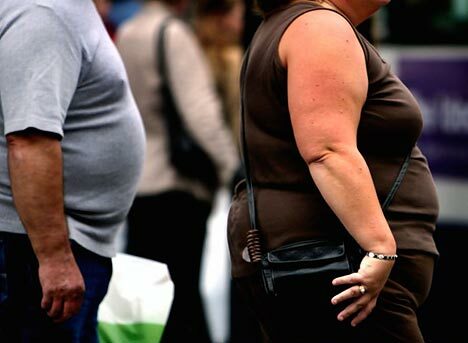 For example, more than 50% of all adults in Wales are obese or overweight! While I am certainly not promoting a stampede to the nearest gym, and with size and body image in the press as this week is London Fashion Week, a true story springs to mind about an old friend of mine, who started to put on the pounds after he retired. During his hectic working life as a Sales Director for a large company, he was prone to wearing expensive Armani suits. But as the years went by, his beloved suits lay unworn, as his extra inches meant they no longer fitted. Whenever we met he would remark on my apparent health, and how he wished to lose weight. I advised him against joining a gym, as so many are intimidated by the ‘gym junkies’ who put them off going again. Instead, I suggested a modest start. An idea I gave him was to walk the mile he normally drove each day to get his papers. He started slowly, but sure enough soon found it beneficial, and now walks for approximately 2 hours every day! He has lost 2 stone in the past 2 years, and can now enjoy wearing his beloved suits once more. So as the experts debate the looming obesity crisis, and we read about the latest designer fashions worn by the supermodel-slim, may I make a suggestion. To all those members of our nation, young and old, male and female, who would like to lose a little (or a lot), just start slowly. Take a short walk every day, and see the benefit over a sensible about of time. You will feel better, look better, and live longer, and help save our nation millions of pounds in the future!